When guinea fowl feels different, because he doesn’t have spots like the others, he writes a letter asking for spots. More and more packages arrive, but none of them are right. 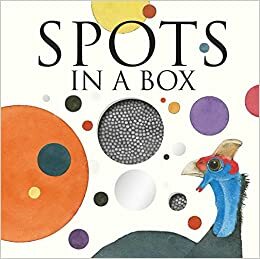 Spots in a Box rhymes and is beautifully illustrated.